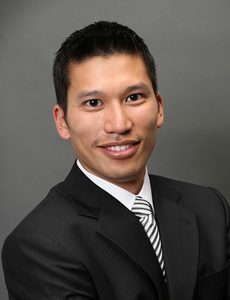 Dr. Ivan Wong is an Associate Professor of Orthopaedic Surgery, School of Health and Human Performance, and the School of Physiotherapy at Dalhousie University. He co-directs the Joint Preservation, Sports Medicine and Arthroscopy Fellowship program in Halifax, Canada. He received his Master’s in Academic Medicine from the University of Southern California, and he completed his fellowship with Dr. Stephen Snyder at the Southern California Orthopaedic Institute. He is the President of the Arthroscopy Association of Canada (AAC) and is the most recent Arthroscopy Association of North America (AANA) traveling fellow. He is a leader in innovative arthroscopic surgery and has over 50 peer-reviewed articles. He is on the editorial board with AJSM. His current research focuses upon the use of human dermal allograft for rotator cuff construction, the use of distal tibial allograft for anatomic glenoid reconstruction in patients with recurrent shoulder instability, and the use of orthobiologics for the treatment of cartilage defects.